PRESCOTT, Ariz. -- Dozens of people gathered in central Arizona, wearing pink ribbons and holding candles, to honor the American woman taken hostage by Islamic State militants. 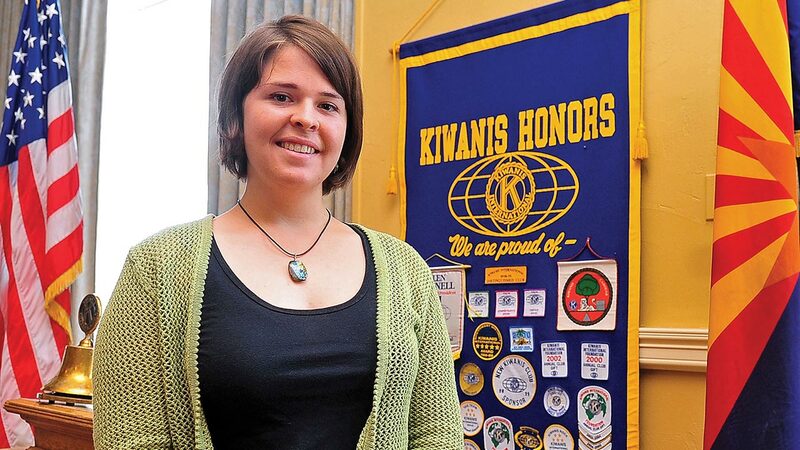 Kayla Mueller's death was confirmed earlier this month by her family and the U.S. government. The Islamic State group claimed she died in a Jordanian airstrike, but the Pentagon rejected that, saying it doesn't know how she was killed. Churches and community groups in her hometown of Prescott, the former territorial capital of Arizona, organized a candlelight memorial Wednesday to reflect on Mueller's life and work as an international aid worker. It will feature a song Mueller's mother used to sing to her as a child, "He Who Began a Good Work in You," and the choir from a local high school she graduated from in 2007. Mueller's parents - Carl and Marsha - plan to attend. Her brother, Eric Mueller, is scheduled to speak to the crowd. Prescott-area residents set up camping chairs on the lawn of the courthouse plaza, and Mueller's friends were accepting canned food and money to support the needy. "Everyone that knew Kayla seemed to think that would be something she would have liked to see - the community getting involved in service and giving," said Ron Merrell, a pastor at Heights Church in Prescott who will give introductory remarks at the memorial. From Prescott, Mueller helped raise awareness of HIV and AIDS, and volunteered for the overnight shift at a women's shelter. She protested genocide in Darfur while she attended Northern Arizona University in Flagstaff. She also traveled to Palestinian territories, Israel, India and France. Kathleen Day, a campus minister at the university, said she'll speak to people in the crowd about the values, experiences and faith that sustained Mueller through her life. "One thing I want to do is bring Kayla right back to them and place her in their care," she said. Mueller, 26, was captured in Syria in August 2013. Little is known about her time in captivity. Day, who kept in touch with Mueller after she graduated from college in 2009 and has counseled Mueller's family recently, said circumstances surrounding Mueller's death also are unclear and that's OK with her. "It's really about what's next and what's before us," she said. "I'm sure our government will be trying to come to those conclusions. It's all going to be speculation. There's probably no way for us to ever have fully the truth."